Updates from our global offices, covering news and insights from around the world. We invite you to check back frequently to stay current on what's happening with U.S Dairy. Also stay connected through LinkedIn at the Think USAdairy page and share your U.S. Dairy sightings. High quality U.S. 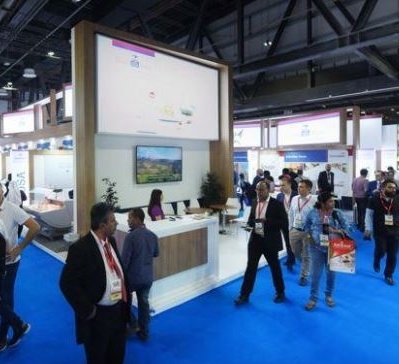 Dairy is a good match for China's rising demand emphasized at the 2019 China International Dairy Industry Conference. Honored to have U.S. Ambassador to China Terry Branstad and USDA Minister Counselor Bobby Richey participating. U.S. dairy exporters support sustainability with dedicated efforts to minimize water and energy use, reduce greenhouse gas emissions and turn waste into value. 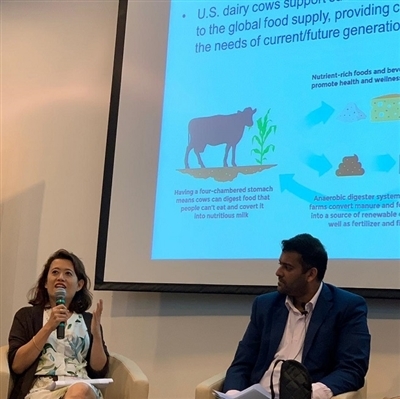 USDEC's Dalilah Ghazalay presented at the World Gourmet Summit (WGS) Sustainability Forum panel discussion in Singapore. Attendees of the U.S. Dairy Ingredients Innovation Seminar explored U.S. ingredients advantages for functionality and nutrition in a variety of applications. 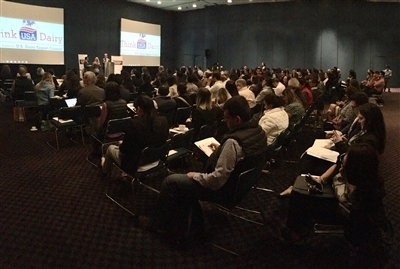 Mexican food trade, academia and media participated in the innovation seminar in Mexico City yesterday. 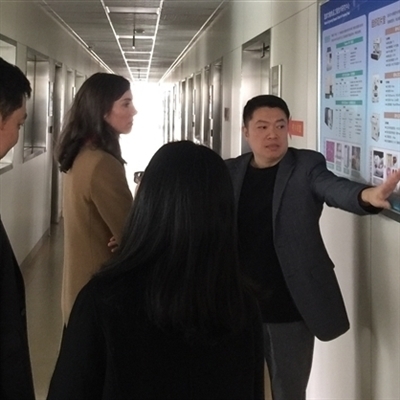 U.S. suppliers tour the Jiangnan University facilities available through USDEC's partnership to identify opportunities for meeting local needs. The consistent quality of our sustainably-produced milk supply results in U.S. ingredients well-suited for the China market. 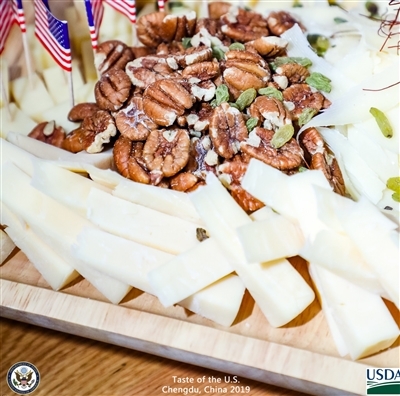 USDEC highlighted delicious U.S. cheese at a reception hosted by ATO Chengdu and held in conjunction with the China Food and Drinks Fair. Attendees had the opportunity to taste how well a variety of flavorful U.S. cheeses, including parmesan, provolone and monterey jack pair with various beverages. Innovations in fortifying noodles with U.S. dairy protein were presented by Dr. ZHOU Peng to 60 attendees of a workshop held by the Chinese Institute of Food Science and Technology (CIFST). The research was conducted as part of USDEC's partnership with Jiangnan University. 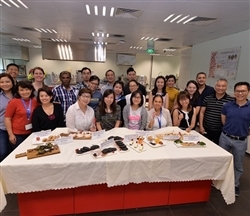 22 food technologists and R&D staff from Singapore, Malaysia, Indonesia and Thailand participated in USDEC's Baking Innovation Workshop held at the Food Innovation and Resource Centre (FIRC) in Singapore. 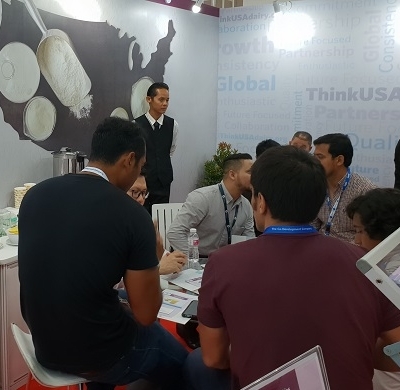 Participants learned about the functional, nutritional and sensory attributes of U.S. dairy ingredients, especially permeate, as advantageous solutions in Southeast-Asia friendly products. They then had the opportunity to develop their own cookies and cakes, incorporating U.S. permeate to gain practical hands-on experience. USDEC showcased a wide array of freshly-baked products decorated in a springtime theme, demonstrating the versatility of U.S. dairy ingredients and U.S. cream cheese. 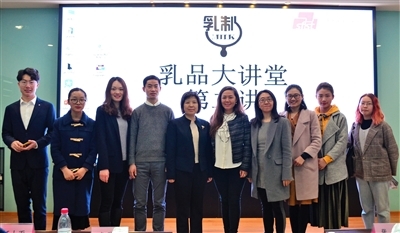 Dairy science and technology students learned about the high quality and nutrition-boosting advantages of U.S. dairy proteins and their innovative applications in a recent lecture at Jiangnan University. Dr. Chang Cuiqing detailed health and nutritional benefits of U.S. dairy proteins, and representatives from Glanbia Nutritionals and Agropur emphasized the versatility of U.S. whey protein and other U.S. dairy proteins in market-friendly food and beverage applications. Seven U.S. cheese companies shared the quality, heritage and diverse range of cheeses in Santiago this week, pictured here at a customer reception. These suppliers met with importers, distributors, retailers, foodservice operators, introducing the breadth of impressive U.S. cheese varieties. 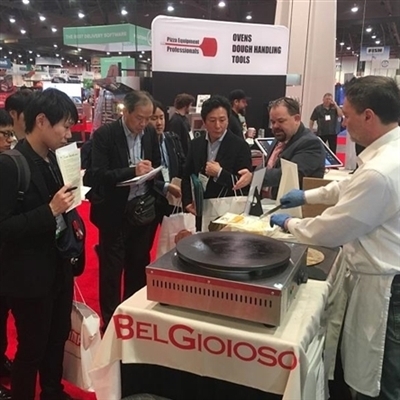 Through a partnership with the Japan Pizza Association, USDEC hosted a series of activities for a delegation of association representatives that visited the Pizza Expo March 5-7, in Las Vegas. 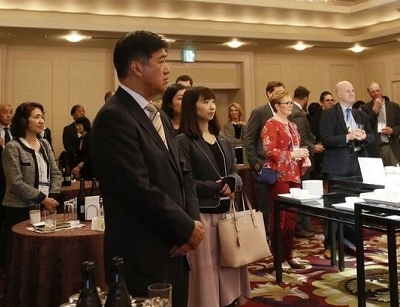 Participants from five companies learned about the variety of U.S. cheese offerings as well as opportunities for innovation in new menu items using U.S. cheese for pizza operators and manufacturers in Japan. Southeast Asian chefs showcased the impressive flavor and versatility of U.S. cheese through U.S. 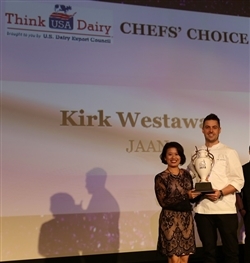 Dairy's Innovative Chef Challenge, held in conjunction with this year's World Gourmet Summit (WGS). Five finalists' creative dishes harness the quality of U.S. Monterey Jack and U.S. Chipotle Cheddar cheeses in local innovations especially well. Judges met last week with the enviable task of tasting these delicious creations to determine the winner, who will be announced on April 22 at the WGS Opening Ceremony. During last week's World Gourmet Summit (WGS) press conference in Singapore, USDEC shared U.S. Dairy's sustainability story with 260 people (including media, chefs, management, and professionals from food and beverage industry). The 2019 WGS theme is Sustainability in the Gastronomic World, which pairs well with the U.S. dairy commitment of being responsible stewards of the environment while delivering high quality U.S. cheese and ingredients to the region. The rich heritage of U.S. cheese offers innovation opportunities to be the star of the plate or to include within adventurous culinary dishes. Three more 'U.S. Cheese Specialist' training courses in February (one Associate and two Intermediate Level) allowed the 63 chefs in the Dubai region to begin to unlock the full potential of U.S. cheeses. 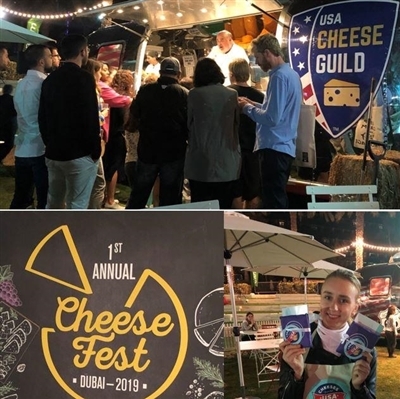 The inaugural Cheese Fest celebrations, as part of the Dubai Food Festival, enabled consumers in Dubai to enjoy the artisan quality and great taste of more than 50 U.S. cheese varieties over two days. The event included blind tastings, focus pairing and wine and cheese plating. U.S. 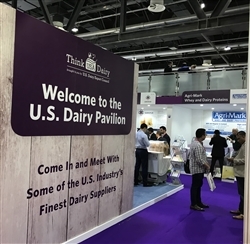 Dairy's pavilion at the 2019 Gulfood show was the largest group of U.S. cheese and ingredients companies to engage the market. The commitment to featuring our sustainably-produced milk supply supports the development of nutritious and innovative foods around the globe. USDEC's programs are teaching cheese mongers, deli managers, buyers about U.S. cheese history and telling our cheesemaker's stories for greater uptake in the Middle East. Kicking off year two of the successful innovation partnership with Singapore Polytechnic's Food Innovation & Resource Centre (FIRC) to grow U.S. Cheese and U.S. Ingredients in Southeast Asia. The partnership continues to strengthen customer-centric product development in the region, serving as an invaluable resource for market-friendly dairy applications. USDEC hosted instructors from South Korea at a training in Sonoma, CA to prepare them to teach U.S. Cheese Specialist Certification courses in the Korean market. The versatility and variety of U.S. Cheese makes it a valuable part of innovative cuisine, whether incorporating into western-style or Korean dishes. USDEC showcased a range of U.S. cheeses and how they can be incorporated into various bakery products to Chinese consumers during a baking promotion hosted by ATO Shanghai at Disneyland Shanghai Resort. Local families had the opportunity to try their hand making their own bakery creations using a variety of U.S. products and ingredients. The latest Cuisine & Wine Asia recipe supplement features six chefs' innovative integration of U.S. cheeses into Southeast Asian recipes, drawing on U.S. cheese's versatility and quality to complement diverse local cuisine. Experience the delicious creativity of Asian dishes incorporating a variety of U.S. cheeses with impressive flavors and textures. United States Ambassador to Vietnam, Daniel Kritenbrink, spoke at the U.S. Dairy booth during the Food & Hotel Hanoi 2018 trade show. Customers were greeted with a wide selection of high quality U.S. cheese varieties to sample. 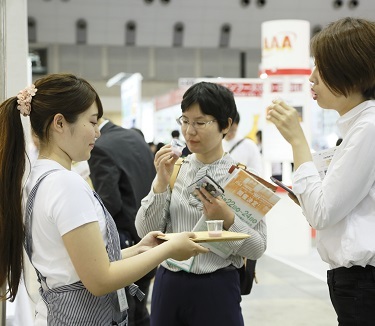 U.S. cheese quality and varieties were featured at the Japan Foodservice Association tradeshow with Monterey Jack, Colby Jack, and Pepper Jack on mini-pizzas and potato salad with U.S. Cream Cheese. U.S. whey protein can also offer great nutrition for the aging population as featured in a delicious smoothie. With the rise of social media, the speed at which new food and drink trends emerge and change is startling. As a result, brands need to innovate quickly to remain relevant, without compromising on product quality or nutritional value. Check out the article in the October 2018 issue of Asia Pacific Food Industry. 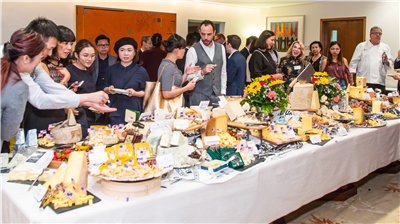 Specialty U.S. cheese varieties take center stage at a reception in Hong Kong connecting customers with both U.S. dairy farmers and cheese company brokers/suppliers. Our gratitude to Kurt Tong, US Consul General, and his wife, Mika, for hosting the reception showcasing high quality, award-winning cheeses from the United States. 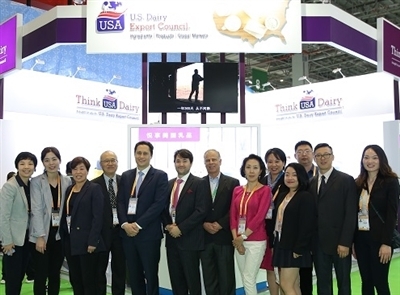 Featuring our safe, trusted, global dairy supply capabilities and long-term commitment towards partnerships, USDEC staff and six member companies met with business leaders at the inaugural China International Import Expo (CIIE) in Shanghai. The range of quality and innovation from passionate U.S. farmers to creative specialty cheesemakers was on display in Tokyo earlier this week. Japan food companies met with U.S. cheese makers/traders and farmers to highlight our dedication to serving global markets. Extending a huge thanks to our U.S. dairy farmers and State & Regional promotion groups at the annual meeting for supporting USDEC's efforts in global markets. USDEC featured savory cookies and highlighted some of the people and partnerships delivering more U.S. Dairy to customers around the world. Singapore's Food Innovation and Resource Centre got into the Halloween spirit and unleashed their culinary creativity, showcasing various Halloween-themed bakery items using U.S. permeate during a hands-on training workshop for Vietnamese bakery professionals. In addition to sampling the spooky treats, the workshop participants also learned about the functional advantages and wide array of innovation opportunities that U.S. permeate offers. The varieties and value of U.S. cheese offer consumers exciting flavors to fit into local cuisine. 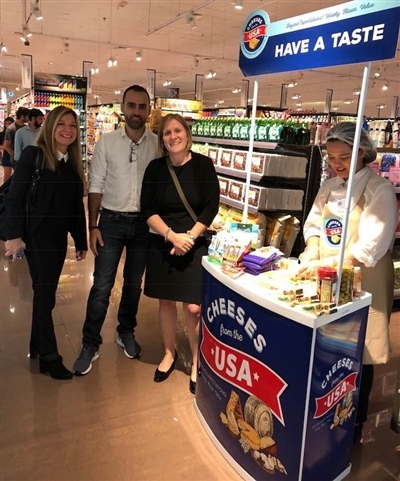 Political figures representing the U.S. in Kuwait and Qatar respectively tasted its outstanding quality first-hand as they sampled an array of U.S. cheeses available at local supermarkets. Pictured to the left: William Grant, Chargé d'Affaires at the U.S. Embassy in Qatar, visits a supermarket in Lulu, Qatar to taste the exceptional U.S. cheeses that pair well with local dishes. Pictured to the right: Lawrence Silverman, U.S. ambassador to Kuwait, in conjunction with the "Discover America" event at The Sultan Center in Kuwait, experiences the range of U.S. cheeses local consumers can explore. USDEC launched the USA Cheese Specialist Certification Program to unlock culinary creativity using award-winning U.S. specialty cheeses. 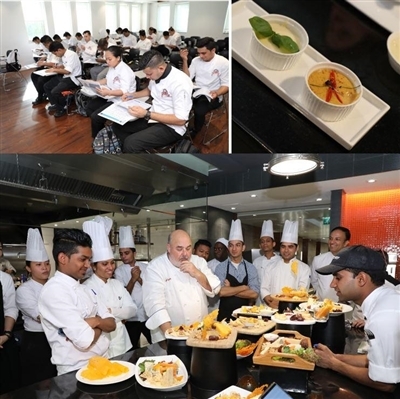 Designed for foodservice and retail, the global cheese education program debuted in partnership with the International Centre for Culinary Arts (ICCA) in Dubai. Twenty young chefs from nine nations went through two days of hands-on training, learning the basics of hashtag#UScheese and how to use it in culinary applications. 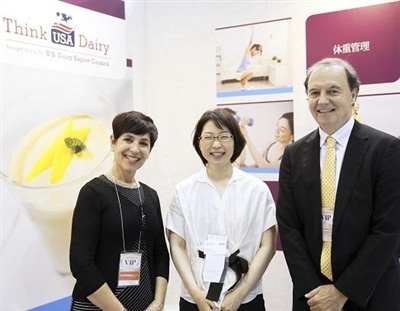 The USDEC partnership with Jiangnan University creates opportunities for U.S. suppliers to develop innovative, market-friendly product formulations that leverage the versatility and functionality of U.S. dairy ingredients. Glanbia Nutritionals and Milk Specialties Global representatives met with Jiangnan University staff while touring the in-market facilities that will help them work more collaboratively with customers. 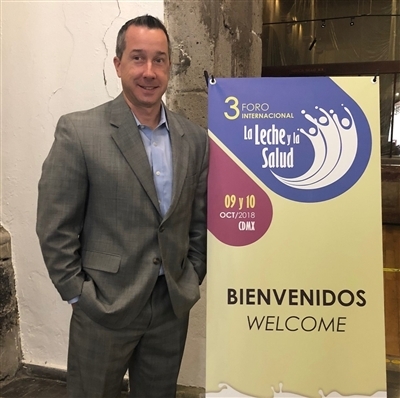 National Dairy Council nutrition expert Matt Pikosky emphasized the health advantages of U.S. whey protein and other U.S. dairy proteins at third annual Forum on Milk and Health in Mexico City. More than 200 representatives from the Mexican medical sector, including pediatricians, nutritionist and academia learned about U.S. dairy ingredients' many nutritional benefits. USDEC sponsored and co-organized the event with the Mexican Dairy Farmers Association (CNOG) as part of the 2016 U.S.-Mexico Dairy Alliance. Participating food and beverage manufacturers learn about using U.S. ingredients in ready-to-drink beverages and soft-serve ice cream at a workshop launched in collaboration with Singapore's Food Innovation and Resource Centre. The workshop offered a hands-on exploration of U.S. permeate functionality and application versatility. Wisconsin Center for Dairy Research's K.J. Burrington provided insight on U.S. dairy protein properties and how these can be suited for Southeast Asia-friendly applications. 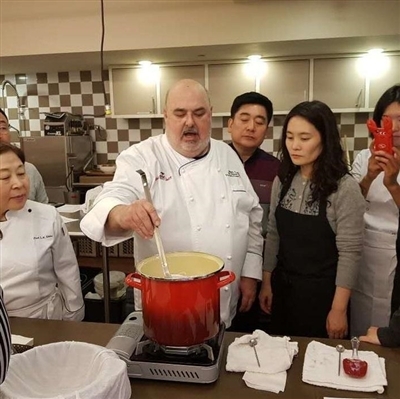 U.S. permeate and dairy proteins' versatility was on display during a hands-on training workshop, where dairy food and beverage manufacturers explored applications tailored to the Southeast Asian market, like pandan-flavored soft serve ice cream. 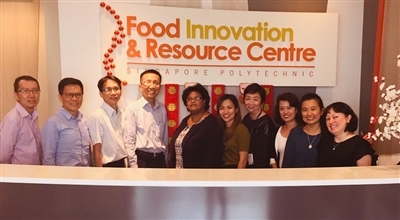 This collaboration with Singapore's Food Innovation and Resource Centre follows up on similarly successful workshops demonstrating the functionality and wide array of innovation opportunities that U.S. permeate offers. 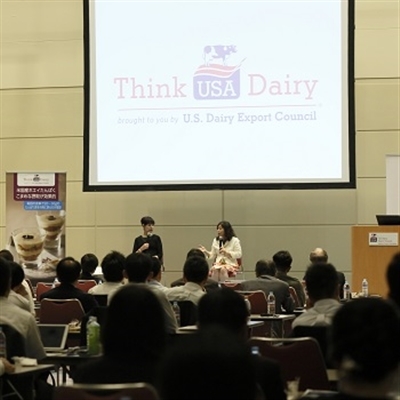 USDEC's Dairy Innovation Seminar in Singapore highlighted the functional advantages of and technical considerations for optimizing the performance of U.S. Dairy Ingredients, as well as information on market trends for and Southeast Asia-friendly innovation in health and wellness applications and beyond. 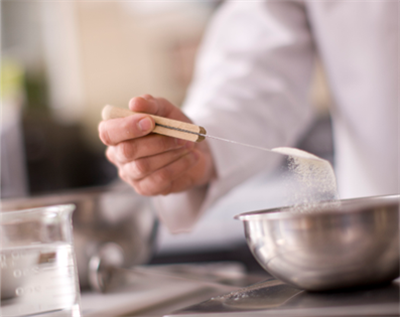 Participating food and beverage formulators gained practical insights on how to select the best U.S. dairy ingredient for their beverages, snacks and dairy foods. 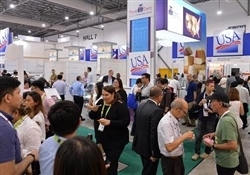 USDEC booth A2.Z11 at Fi Asia sharing more than ten localized product formulas and additional resources to connect with the 12 U.S. dairy suppliers also exhibiting at the show. U.S. dairy ingredients can help SE Asian food & beverage manufactures deliver products tailored to the market. 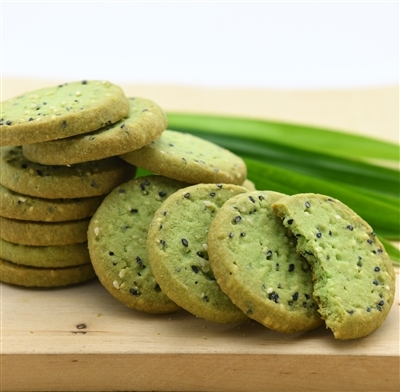 Fi Asia visitors are enjoying the spicy curry and pandan sesame cookies made with U.S. permeate. 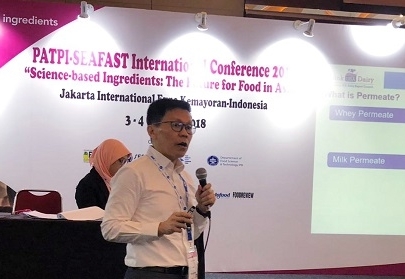 Martin Teo, technical director for USDEC Southeast Asia, speaking at PATPI-SEAFAST International Conference held during Fi Asia on using U.S. permeate to offer flavor-enhancing, sodium-reducing benefits in foods for Southeast Asian consumers. More than 250 nutritionists attended a seminar on the role of dairy in combating the double burden of malnutrition in Indonesia. 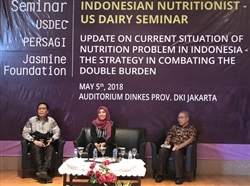 USDEC's Hamdansah Hardigaluh "Hardi" shared the benefits of U.S. dairy proteins and opportunities for dairy ingredients to improve nutrition for the Indonesian population. USDEC collaborated with The Jasmine Nutrition Foundation (Yayasan Gizi Yasmin) and the East Java Province chapter of the Indonesian Nutritionist Association (PERSAGI) and the Food and Nutrition Society of Indonesia (PERGIZI Pangan). Mr. Murayama, honorary chairman of Cheese Professional Association in Japan taught a U.S. cheese culinary class at Hattori Nutrition College. 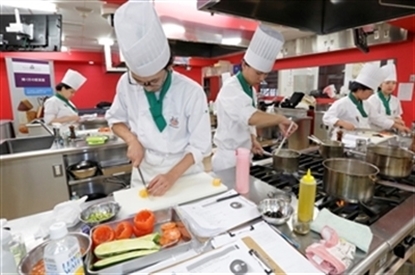 The U.S. cheese varieties impressed the class of 150 students who are participating in an upcoming cooking contest to develop menu ideas using the high quality cheeses. Dubai customers have an opportunity to taste the amazing U.S. cheese varieties during a retail promotion. Staff Angélique Hollister, Firas Zahreddine and Nina Halal are visiting the sampling stations. 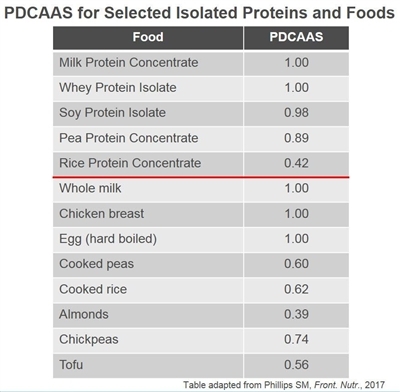 Dr. Fujita shared the benefits of high quality U.S. dairy protein during his "Dietary Approaches to Reduce Sarcopenia Risk" presentation to nutrition and health professionals from government, agencies, research organizations, academia and relevant industries. 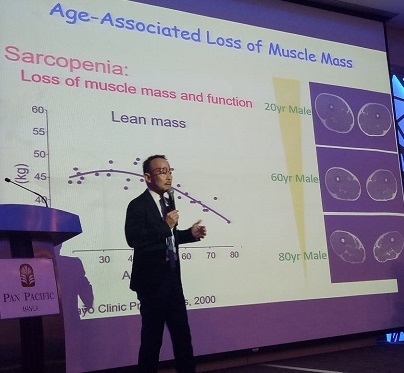 Around 100 attendees participated in the Nutrition and Life Course Approach to Healthy Aging seminar at Pan Pacific Manila organized by International Life Sciences Institute (ILSI) Southeast Asia Region Philippines Country Committee. 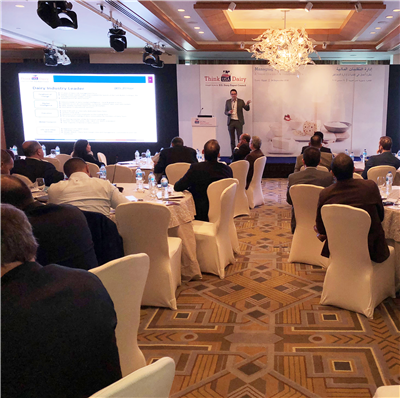 Charlie Hyland and Eric Meyer provide resources for U.S. dairy customers to mitigate their financial exposure during USDEC's Risk Management Workshop in Cairo. The participants then put their newly learned tools into practice in a case study. Thanks to the participating suppliers: Commercial Creamery Company; Darigold; HighGround Dairy; Hoogwegt US; Interfood Group; INTL FCStone; Louis Dreyfus Company; Schreiber Foods; and T. C. Jacoby & CO Inc.
Visit the U.S. Dairy Export Council's booth (#A2.Z11) at Fi Asia in Jakarta, Indonesia (October 3-5, 2018 - Jakarta International Expo) for inspiration on Southeast Asia-friendly innovation opportunities with U.S. Dairy. U.S. milk powders, dairy proteins and permeate deliver multifaceted nutrition, functionality and flavor benefits while addressing formulator needs to meet consumer demand for quality, sustainably produced ingredients. Appealing applications include indulgent sweets, better-for-you snacks, protein-enriched sports nutrition, weight management/healthy aging food and beverages and more. Several U.S. suppliers will also be participating in the show, both as exhibitors and to conduct customer meets. To plan your visit and learn more about U.S. dairy's presence at the Fi Asia show, download an at-a-glance handout. Newly released Cuisine & Wine Asia recipe supplement explores how five innovative chefs creatively incorporate U.S. cheese into cuisine tailored for the vibrant gastronomic scene in Singapore. Download Melting Your Senses for innovations made possible in Asian culinary menus thanks to American originals and other popular U.S. varieties. 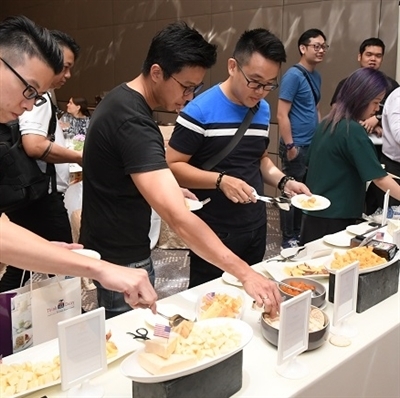 Tasting is believing and over 90 senior chefs, distributors and food managers from hotels and catering experienced diverse, high-quality U.S. cheese options at an exclusive Senior Chef Workshop in Singapore. 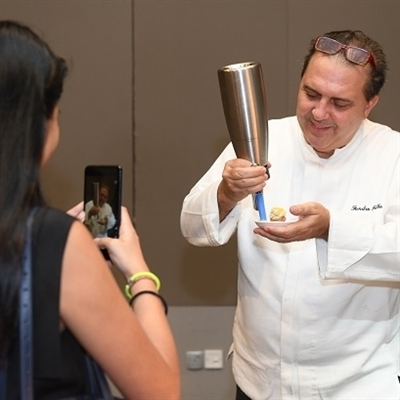 Chef Sandro Falbo demonstrating the versatility of U.S. specialty cheeses in high end cuisine at the Senior Chef Workshop in Singapore. Touring Hoard's Dairyman farm with Corey Geiger showed USDEC's trade mission guests how U.S. dairy farms focus on cow care. The resulting sustainably-produced milk supply offers high quality, safe U.S. dairy ingredients. 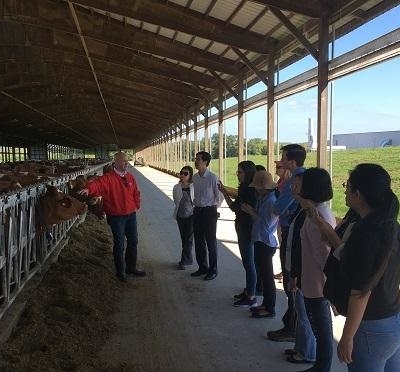 Food developers from five Vietnam companies participate in a U.S. dairy proteins short course at Wisconsin Center for Dairy Research. U.S. 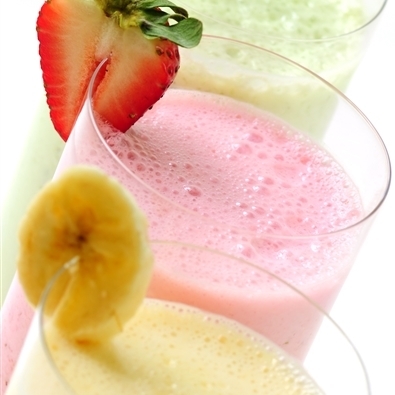 Dairy in beverages and yogurt applications offers innovative nutrition and functionality. 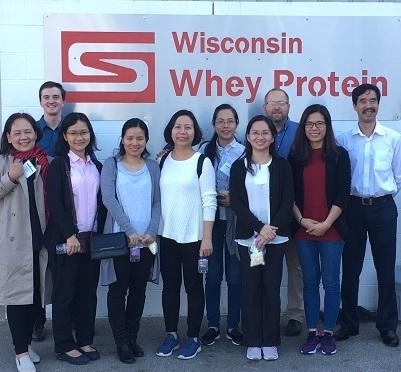 Thanks to Wisconsin Whey Protein Inc. and Kevin Thomson for hosting the USDEC Vietnam trade mission on a tour of their U.S. ingredients processing facility. USDEC members discussed the quality and diversity of U.S. Cheese offerings for Southeast Asia at a seminar in Manila, Philippines. 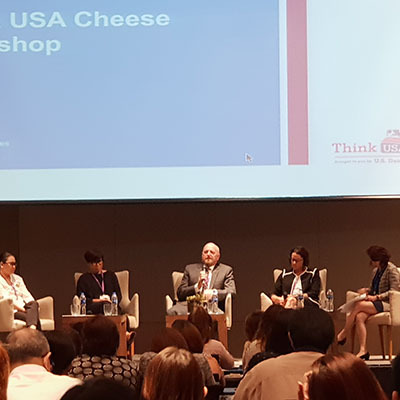 The panel emphasized to 75+ in attendance how U.S. cheese suppliers' innovative spirit and capacity for growth globally is uniquely suited to meet Indonesia and the Philippines' needs. The flavor, functionality and versatility of U.S. Cheese were focal at the Think USA Cheese Seminar in Jakarta, Indonesia. Approximately 50 foodservice operators, importers and dairy food and beverage manufacturers attended the seminar featuring the Wisconsin Center for Dairy Research's David Montgomery. He highlighted how different cheese characteristics like melting, browning and stretching prove advantageous for Southeast Asia-friendly menu items. 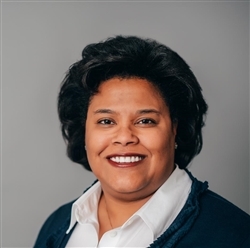 Annie Bienvenue and USDEC staff visiting Jiangnan University (Wuxi, China) today to discuss ongoing and future research on China-friendly innovation opportunities using U.S. dairy proteins and permeate. 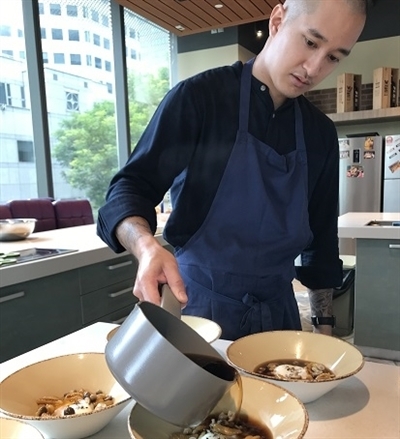 Singaporean Head Chef Kenneth Foong demonstrates the versatility of U.S. whey protein in creative culinary dishes like this Ricotta Cavatelli. The media luncheon held in Singapore on August 3rd highlighted the U.S. Dairy capabilities to deliver quality ingredients and innovation to the thriving food industry throughout the region. Thanks to everyone who made IFT18 a success! For those who couldn’t attend, you can download a new technical report detailing how U.S. Dairy delivers important functionality to a variety of applications in the crowded protein marketplace. 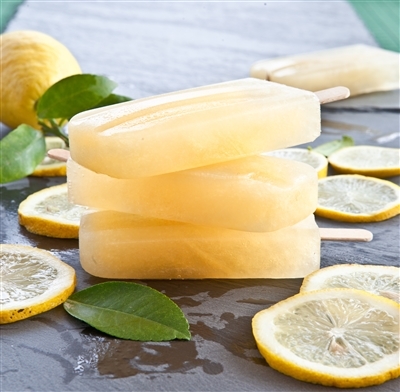 It’s the last day of IFT18, which means it’s the last chance to swing by booth S1427 and try two, delicious applications that that showcase U.S. dairy ingredients – Lemon Ginger Ice Pops with Whey Protein and Savory Asian Granola with Whey Permeate and Protein Crisps. Interested in learning about the broad portfolio of U.S. dairy ingredients? Experts from our network around the world were available at booth S1427 throughout IFT18 to answer your questions. Not all proteins are created equal. Protein quality rates the ability of a food protein to meet the body’s metabolic demand for amino acids and nitrogen. Key metrics of this measure include their amino acid composition, digestibility and bioavailability. PDCAAS (Protein Digestibility Amino Acid Score) is the current gold standard for assessing protein quality. USDEC researchers and team members were at Booth S1427 at IFT18 sharing the latest in protein research and how dairy’s unmatched protein profile assists in muscle building, maintenance and recovery. Visitors stopped by booth S1427 to taste and learn why all proteins are not created equal. 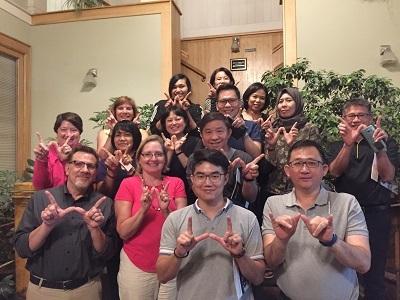 Proudly showing a big "W" for Whey (and Wisconsin) as the USDEC Southeast Asian technical training mission delegates wrap up two days at Wisconsin Center for Dairy Research. A huge thanks to Kimberlee Burrington, Susan Larson and other CDR staff for sharing their expertise on U.S. dairy ingredients! Southeast Asian technical training mission delegates participate in hands-on lab sessions demonstrating U.S. dairy ingredients functionality and sensory evaluation. Two staff from USDEC Southeast Asia accompanied the eight representatives originating from Malaysia, Singapore, Thailand, Indonesia and the Philippines. 70 Saitama Belle Epoque Culinary School students in Japan participated in the inaugural U.S. cheese course in partnership with the school, learning about the award-winning, wide-selection of delicious U.S. cheeses. Renowned cheese expert Mr. Shigenobu Murayama introduced the history and wide-ranging varieties of unique U.S. cheeses. Culinary expert Ms. Ema Koeda demonstrated the cooking advantages of U.S. cheese and introduced several new recipes featuring U.S. cheddar cheese and American originals. New Singapore agreement is the latest collaboration by U.S. 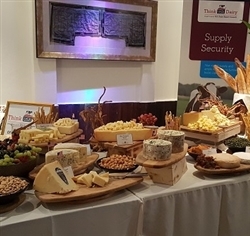 Dairy to drive growth in dynamic hub of food manufacturing. Pictured from left to right: Zen Tan, FIRC business development manager; Martin Teo, USDEC food applications technical director; Loong Mann Na, FIRC centre director; Vikki Nicholson-West USDEC business unit director for Southeast Asia; and Dali Ghazalay, USDEC regional director for Southeast Asia. Vikki Nicholson-West presented to U.S. Beef & Dairy Cochran Program visitors on the innovative U.S. cheese offerings last week in Chicago. The USDA Cochran Delegation consisted of executive level management and purchasing managers of the hotel and restaurant industry in Thailand. USDEC highlighted the commitment of U.S. dairy farmers to their cows and the land, providing a sustainably-produced milk supply that results in a high quality selection of U.S. dairy ingredients. Hiroshi Furuyama (left) and Itsuki Tomiyama (right) in the USDEC booth at the International Food Ingredients and Additives (IFIA) trade show in Tokyo. Thanks to everyone who participated. 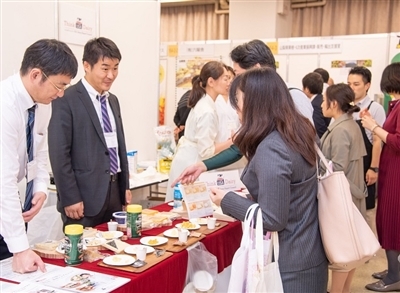 The 150 participants from health and wellness-focused food and beverage companies in Japan learned how U.S. Dairy proteins offer value in products targeting mainstream fitness-conscious consumers, including seniors. Last week's U.S. Dairy Innovation Seminar also featured how proteins from U.S. milk conveniently fit into everyday Japanese foods. Presenters included Leslie Bonci, MPH, RDN, CSSD, (seated left) and Japanese culinary expert Ms. Kanami Egami, Vice President and Food Consultant of Egami Cooking School (seated right). 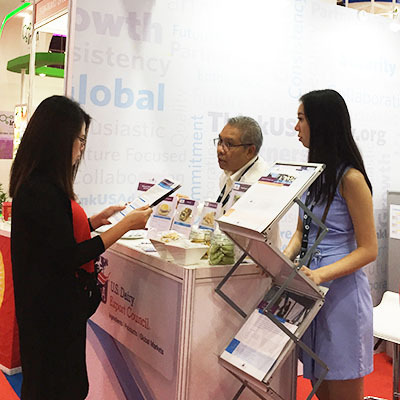 Visitors are sampling U.S. whey protein yogurt smoothies and learning how U.S. dairy proteins can conveniently fit into everyday foods to support lean muscle for women without bulking up from USDEC's booth at the International Food Ingredients and Additives (IFIA) trade show. American sports nutritionist Leslie Bonci and USDEC's Jeff McNeill meeting with customers about the benefits of U.S. dairy proteins across the life stages. 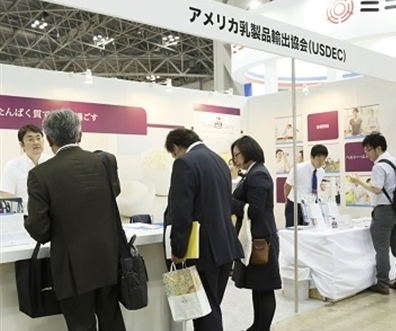 The USDEC booth is part of the International Food Ingredients and Additives (ifia) trade show May 16-18 in Tokyo. Sports nutrition expert Leslie Bonci conducted multiple Japanese media interviews sharing the importance of quality proteins like U.S. whey proteins for fit and active lifestyles. The U.S. 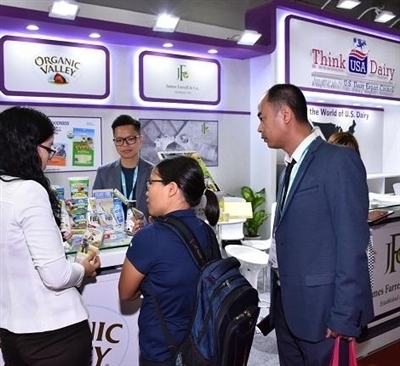 Dairy Pavilion (Stand # E-15) at Fi Vientam is showcasing a range of U.S. dairy ingredients that provide the nutrition, functionality and flavor necessary for Vietnamese food & beverage manufacturers to bring innovative products to market. The four U.S. suppliers participating are DairiConcepts, Organic Valley, James Farrell & Co. and Stiefer Agribusiness Asia. At the U.S. 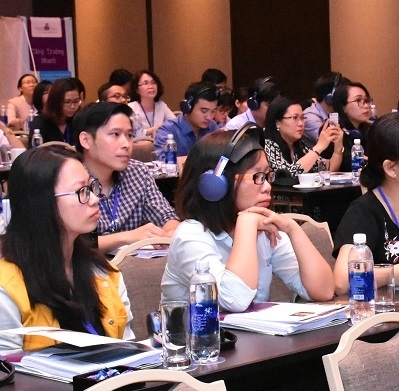 Dairy Innovation Seminar in Vietnam, 80 participating food industry professionals learned the nutritional benefits, functional advantages of using U.S. dairy ingredients to deliver on Vietnamese market trends. Special thanks to the reverse trade mission participants from China for taking the time experience the quality and varieties of U.S. cheese produced in the United States. The group stops for a photo break in Idaho at Agropur. Our Chinese cheese processors reverse trade mission gets a flavor of the high quality U.S. cheese from Glanbia's Innovation Center and then visits TLK dairy to see calf raising and precision feeding in action. Some fantastic innovative baked goods using U.S. permeate were created by the regional product developers participating in the recent USDEC workshop at the Food Innovation Resource Centre (FIRC), Singapore Polytechnic. Speical thanks to participating U.S. suppliers: from Agropur - David Mharakurwa and Olwyn O'Dwyer-Duggan, Proliant - Gabriel Sevilla and Lactalis - Bruno Ledoux. Workshop on Baking Innovation with U.S. Permeate held at the Food Innovation Resource Centre (FIRC), Singapore Polytechnic. Led by USDEC SEA Technical Director - Food Applications Martin Teo, more than a dozen regional food developers experienced the functional, nutritional and sensory benefits of U.S. permeate. 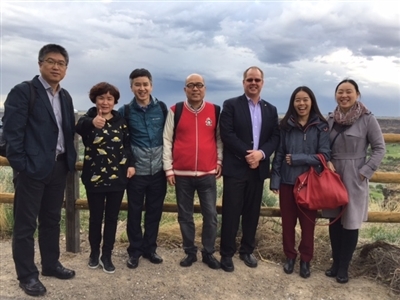 The USDEC reverse trade mission from China spent three days in California, touring Hilmar and conducting in-depth meetings with seven other US suppliers before heading to Idaho to meet more suppliers and visit a farm. 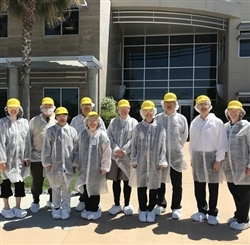 Six representatives from Chinese cheese manufacturers learned about the in-depth U.S. cheese supply portfolio, cheese innovation, and state of the art manufacturing before heading to Idaho. 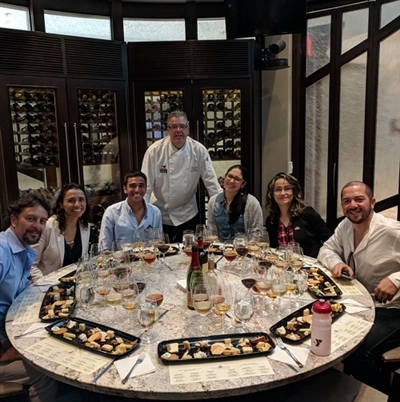 Chef John Esser presenting the fine artisan U.S. cheese varieties and pairing ideas to the five Fellows and USDA FAS Agricultural Specialist on a Cochran mission from Colombia as part of their Discover American Cuisine and Media Tour. The May 9th USDEC-sponsored stop at Florida International University in Miami was part of the two-week tour. 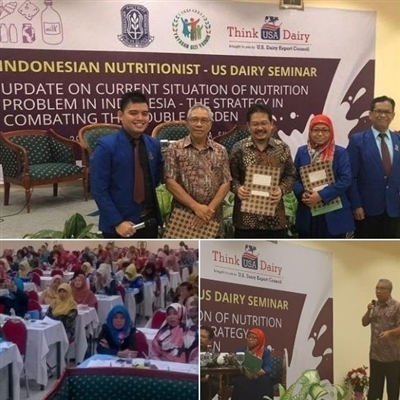 The benefits and opportunities of U.S. dairy protein in improving the health and nutrition status of the Indonesian population was shared at the U.S. Dairy Health & Nutrition Seminar on May 5th. The seminar was organized by Jasmine Nutrition Foundation (Yayasan Gizi Yasmin) in collaboration with USDEC and Indonesian Nutritionists Association (PERSAGI DKI Jakarta Province). 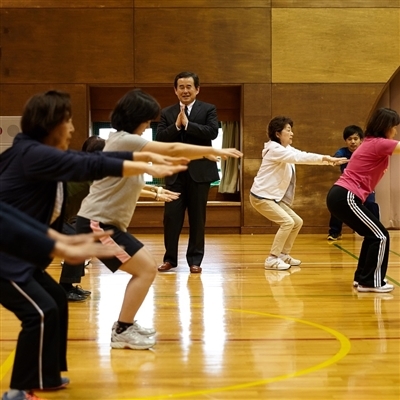 Dr. Shuichi Machida works with participants to explain how the Kinkatsu project is designed to develop muscle strengthening habits that include exercise and protein intake, including U.S. whey proteins. Seniors participating are interested in these techniques for staying active as they grow older. Orientation for Kinkatsu - a Japanese term developed to mean "muscle building activity" - educated community participants on reducing locomotive syndrome risk to seniors using nutrition with U.S. whey protein and exercise. 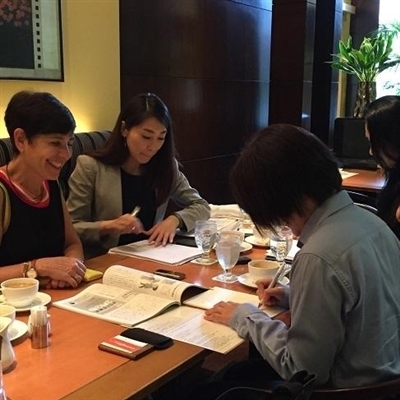 The USDEC Japan Kinkatsu partnership with Yokohama Sports Association is 6 months long starting in June. Four busy days for the U.S. Dairy pavilion at Food & Hotel Asia FHA 2018 in Singapore. Vikki Nicholson-West and Chef Jill Sandique featured in the Food & Hotel Asia day 3 show guide discussing how American cheesemakers are crafting U.S. cheese innovations full of bold flavors and textures to complement regional dishes. 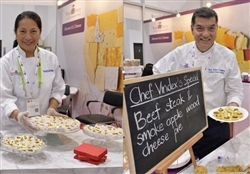 Delectable culinary creations by Chefs Jill Sandique and Vindex Tengker featuring U.S. cheese entice Food & Hotel Asia participants in Singapore this week. Chefs, importers, distributors, retailers and foodservice operators receive a special tour from cheese expert, Mark Todd, of 30 different varieties of U.S. cheese at five pairing stations. The special reception in Singapore during Food & Hotel Asia 2018 was sponsored by Oregon Dairy and Nutrition Council, California Milk Advisory Board and USDEC Southeast Asia. 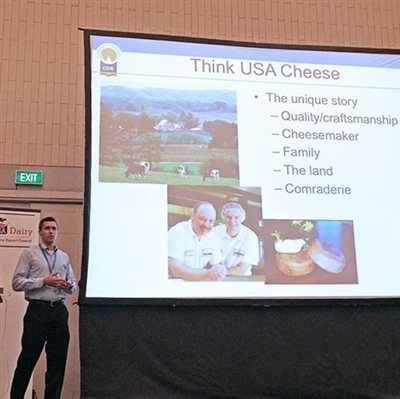 Vikki Nicholson-West highlights how the wide variety of great tasting and unique U.S. cheese is a perfect fit for the influential Singapore market at Food & Hotel Asia 2018. 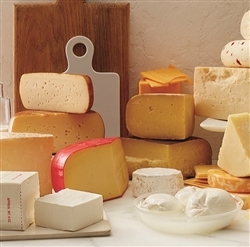 These quality cheeses can stand alone or excel as an ingredient in innovative cuisines. April is teeming with examples that showcase how the 600+ types of U.S. cheeses can be used to delight consumers in Southeast Asia. 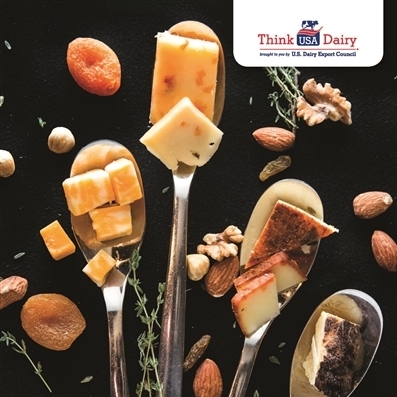 As the Official Dairy Partner of the World Gourmet Summit, USDEC offers opportunities to see and taste the show-stopping cheeses made in the USA through various award ceremonies and receptions. 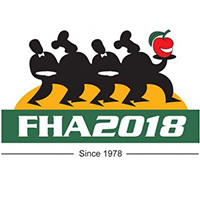 The activities continue with the 2018 Food & Hotel Asia (FHA) show, April 24–27. The USDEC booth (#7B4-06 and #7A4-01) within the U.S. Dairy Pavilion highlights 10 different U.S. cheese representatives and additional chef demonstrations throughout the show. 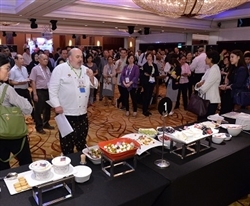 An impressive display of U.S. cheese delighted taste buds of the chefs, gourmet distributors and importers attending the World Gourmet Summit Discovery Brunch in Singapore. This reception showcased a dozen cheeses from 8 companies in 4 states. This is truly a small sample of the more than 600 varieties of cheeses made in the United States. U.S. specialty cheese production dates back centuries with the early American settlers and it is currently the fastest growing segment of the American cheese market. WGS month-long activities lead up to USDEC's exhibiting at the 2018 Food & Hotel Asia show, April 24-27 so be sure to come out and learn more about our innovative U.S. Cheese. 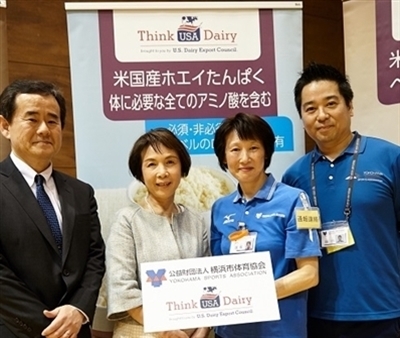 USDEC is the official Dairy Partner of the World Gourmet Summit in Singapore. 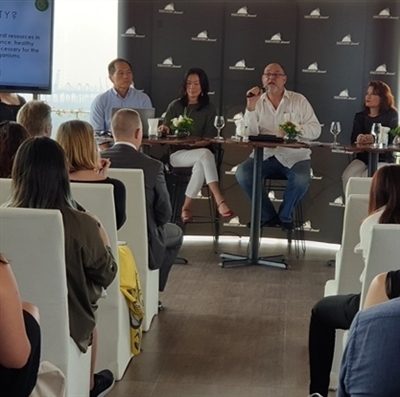 Widely regarded as Asia's foremost gastronomic event, this highly anticipated food and wine festival epitomizes the cuisine, wine and dining elements of gastronomy. Guest Chef Vindex Tengker featured the varieties and craftsmanship of U.S. cheeses during the opening Awards of Excellence reception. Under Secretary McKinney from U.S. Department of Agriculture, Trade and Foreign Agricultural Affairs, greeted USDEC staff, Terri Rexroat and Rodrigo Fernandez, in Guatemala. 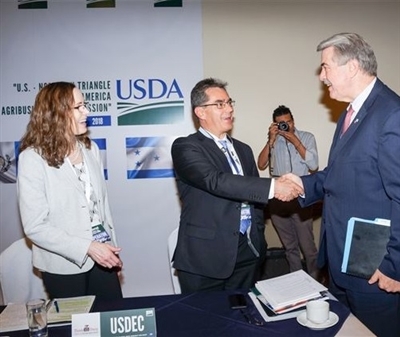 USDEC participated in a trade mission on Feb. 26-March 2 to feature the quality U.S. cheese and dairy ingredients available to companies in the Central America Northern Triangle of Guatemala, Honduras and El Salvador. Impressive display of U.S. cheese at Gulfood 2018. With more than 600 varieties of high quality cheeses, the U.S. can fulfill customers’ evolving product and business needs. 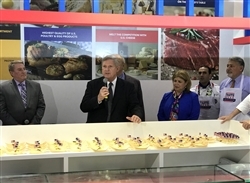 USDEC's CEO Tom Vilsack speaking in the Taste of the USA Pavilion at Gulfood 2018. The strong show presence highlights how the U.S. dairy industry continues to ramp up investments and deliver an expanded range of dairy products which fulfill customers’ evolving product and business needs. 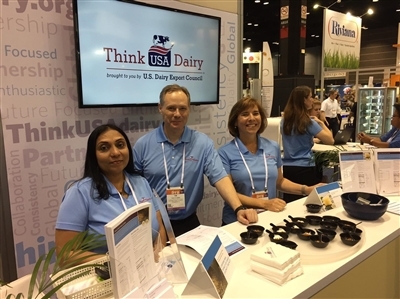 The global food and beverage industry is not standing still, and neither is the U.S. dairy industry – ask one of the 23 exhibiting U.S. dairy suppliers at Gulfood 2018.